There are so many good ideas for teaching students about the Pythagorean Theorem! It seems like every year I change a little bit when I teach this lesson. However, I have found some favorite ideas over the years. 1 - Pythagorean Theorems Word Problems Coloring Worksheet - I love using this worksheet because it gets students to practice word problems, with less complaining because of the coloring. 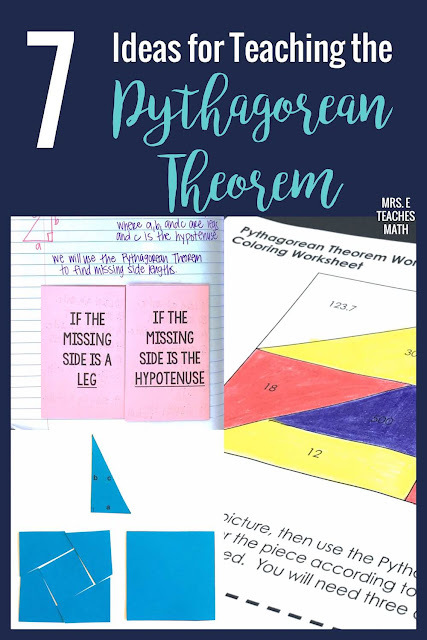 2 - Pythagorean Theorem Proof Without Words - This post has a free download of a template for showing your students a visual explanation of the Pythagorean Theorem. It helps so much for them to see a concrete example! 3 - Pythagorean Theorem Solve and Snip - This cut and paste worksheet also has students practice word problems! 4 - The Pythagorean Theorem - The Science of Football - I show this video every year. It helps capture the attention of my athletes and even has interviews with football players and coaches. It's by the National Science Foundation and very well done. 5 - Pythagorean Theorem Word Problems Digital Activity - Looking to go digital? These digital task cards are a fun way for students to (again) practice word problems. I like having students work with partners and take turns drawing the diagrams. 6 - Pythagorean Theorem INB Pages - I think these are my favorite notes for the Pythagorean Theorem. They're simple and effective. 7 - Pythagorean Theorem Pennant - This pennant is adorable and would help decorate your classroom! I especially love the squares around the triangle on each part of the pennant. 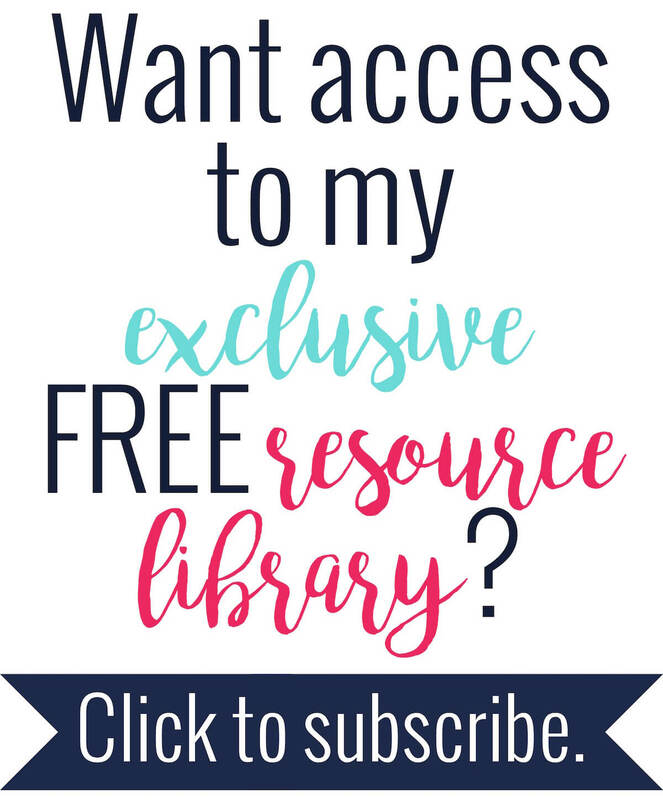 I hope you found something new that you can use in your classroom!